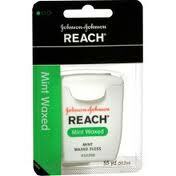 Print a $1.00/1 Reach Toothbrush or Floss Product (excludes Crystal Clean) coupon to pick up Reach Floss for free. Target and Walmart have Reach Floss priced around $0.97, and this week, Walgreens has its Reach Floss for $0.99. So after the coupon, it’s free! Make sure to print it twice.